It is part of online or digital marketing. Email marketing service in India presents more opportunities for your business and offers a better return on investment. It is the targeting of clients through the mail. Every mail sent to a potential, the strong client it can be considered as e-mailing marketing. Most the successful business use e-mailing marketing today and most of the successful bloggers also use it. The mail has great visibility as compared to others. Your business can make a deeper connection with a wider audience in the cost of traditional media with mail. One of the most obvious benefits of this is its lower cost compared to mainstream promotional channels. There are no print or postage costs and no fees paid in exchange for exposure on a certain billboard, magazine or television channel. This can allow for much higher conversion rates as a business is only targeting those who already have an interest in their brand. Our Bulk Email Marketing Service in India is promoted by world-class infrastructure which makes sure high deliver capability for bulk email campaigns to target potential clients. At ViGRO Technology we think that Bulk mailing is a very effective medium for Promotion and we have more than eight years experience team to take care of every aspect of mail broadcasting. Our experienced IT team brings your promotion campaign to the next level by increasing the relevance between you and your clients. We apply lots of strategies to ensure that messages or mail are delivered to potential clients. The campaign is best to target potential clients and this is the best ways to communicate with your clients. It is an organized and professional way of sending mail, to give updates, offer, or give information to your clients. Sending a mail it may be impactful at a regular interval of time and on a timely basis could the increased possibility of future business. Content: – This is the main part of the campaign, to content a rights type of audience for your business. Action: – In your mail must have an action button at the end of the mail content. This action is mainly linked to the website or a landing page. Purpose: – In an e-mail campaign, your purpose of a mail should be clear because for getting more sale and business. How does an Email marketing campaign work? You also use mail in the regular basis and you should have a mail id to send a mail. For an email marketing service in India, we collect lots of mail address of potential clients then we filter all mail ids as per demographic, interest, and area etc. After that, we find potential clients according to campaign and business. Then we have to design a template as per the client’s requirements, and content etc. We have given proper information in the mail. After completing the whole process we have sent mail to the clients. 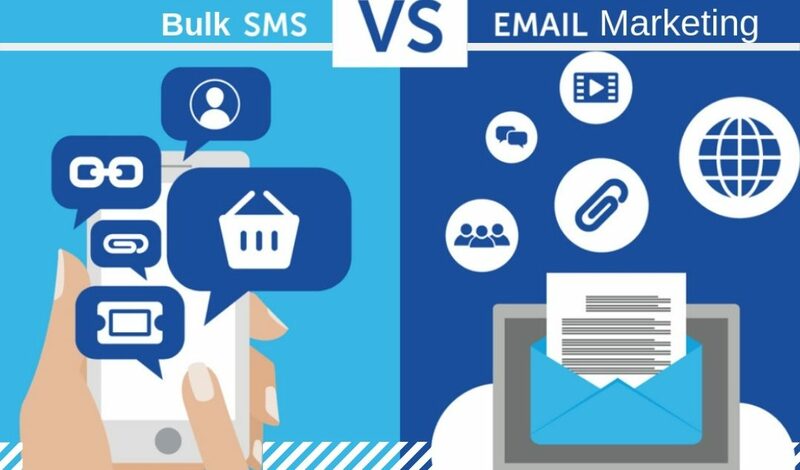 ViGRO Technology Is the leading bulk email service provider based in Delhi, India, with more than eight years of experience and dedicated team to manage the bulk e-mailing campaign. Our experience of IT is our strength and we have lots of idea and strategy to begin a successful campaign. Our email marketing service in India can help you send out mail to your potential clients. It helps to promote your business and products all over the country. From e-mailing campaign you can also measure the success of the campaign with our analytical dashboard. Bulk email marketing plan: – For doing that you have to choose a plan according to your business and needs. Choose among our custom e-mailing plans as per your business. A complete managed plan helps you to communicate with a right type audience. E-mailing Automation: – It is a system that helps the marketers to send an impactful mail according to the needs of clients. E-mailing automation gives marketers to control over data management, template design, and content design. It helps to you send mail with an effective way. Always remember your name: – By this, you can make a unique identity in your client’s mind. If you are giving a regular mail or information about your business or products your clients always remember your name. Targeted audience: – If you deliver your mail or message to the targeted audience that can help you to get good profits. Email marketing in India is a very effective way to target the right types of audience for your business. A good relationship with clients: – You can make a good relationship with your clients by giving regular updates. By these people can trust you more as compared to your competitor and you can build a friendly connection between you and your clients. Track your success: This is the best part of the marketing you can track you’re all the clients’ data or records. By this, you can measure your success of campaign. Why you should choose e-mailing marketing for your business? Get ready to choose Email Marketing service in India to get lots of things or to become a successful brand. Start your own campaign of SMS with exclusive SMS Marketing service in India by ViGRO Technology. SMS service provider in Delhi, SMS service provider in Bihar or any place if you want to contact to us. We provide you with this service as per your business and requirements. Only from an SMS, you can get lots of clients, and you can get more business. Transactional Bulk SMS Service means the messages sent by the financial institutes like insurance companies, banks and credit card companies. Moreover, government bodies, educational institutes, and other registered bodies also belong to this category. International Bulk SMS Service refers to the messages sent to other countries. Mobile handsets of other countries will receive them. Our service has turned out to be a good method of promoting, products, service and offers to the clients. How SMS Marketing Service in India Work? This is very simple and easiest to send text messages from anywhere or anytime. You can start your campaign after knowing a couple of steps. Boost Sales or business: – If you give regular updates of your service/ product. This impact will show on your business and this will help you to boost sales of product/service. Always remember your name: – By this, you can make a special identity in your client’s mind. If you are giving a regular mail or information about your business or products your clients always remember your name. Targeted audience: – If you deliver your message or SMS to the targeted audience that can help you to get more profits. SMS service in India is a very effective way to target the right types of audience for your business. • A good relationship with clients: – You can make a good relationship with your clients by giving regular updates. By these people can trust you more as compared to your competitor and you can build a friendly connection between you and your clients.